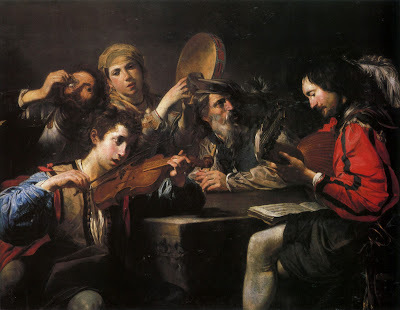 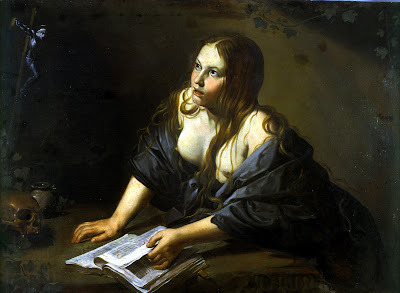 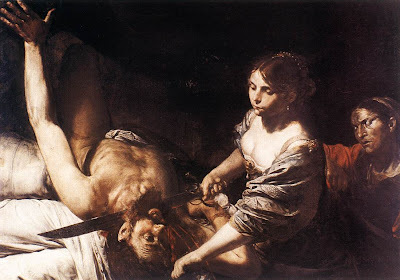 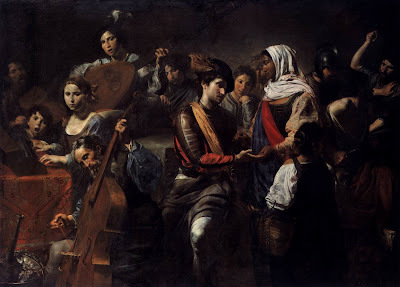 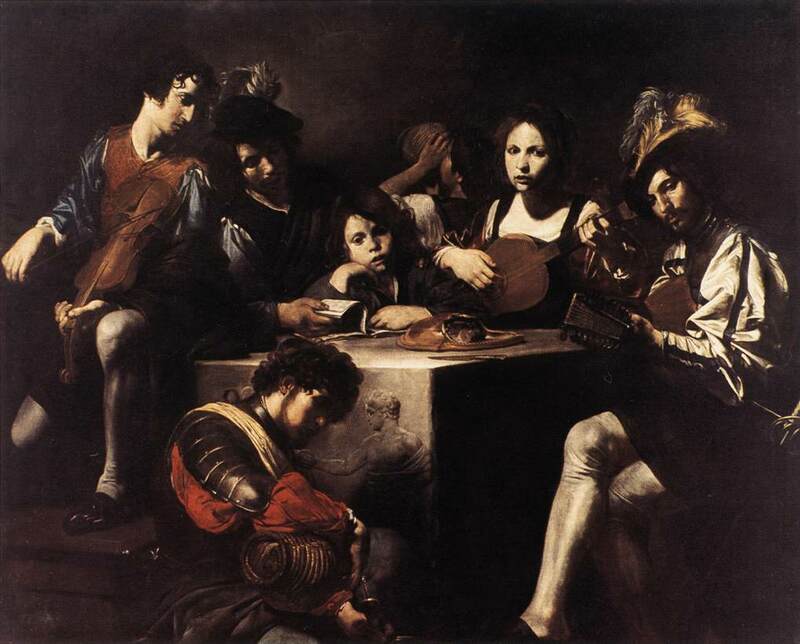 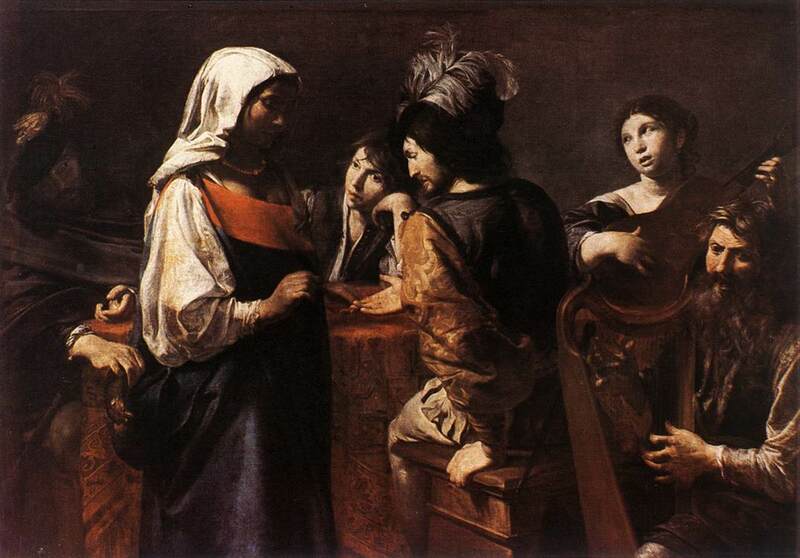 Jean Valentin de Boulogne (1591–1632) ,pintor francés. 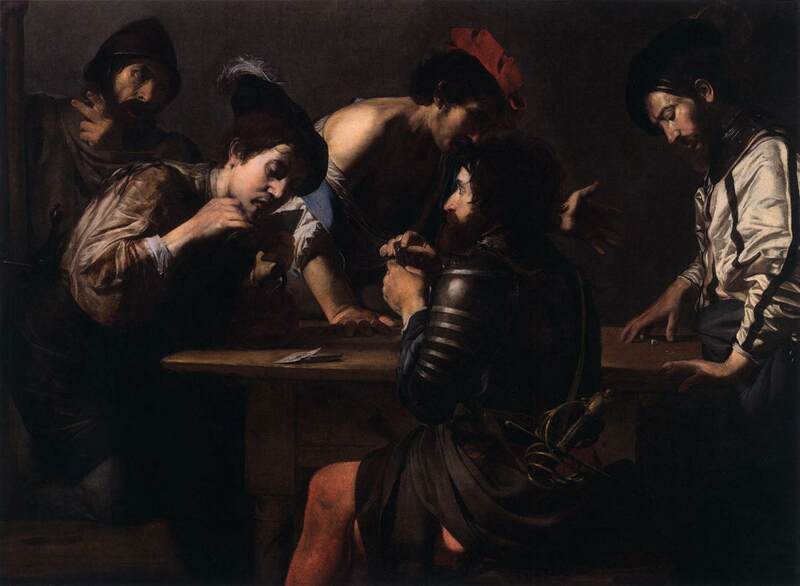 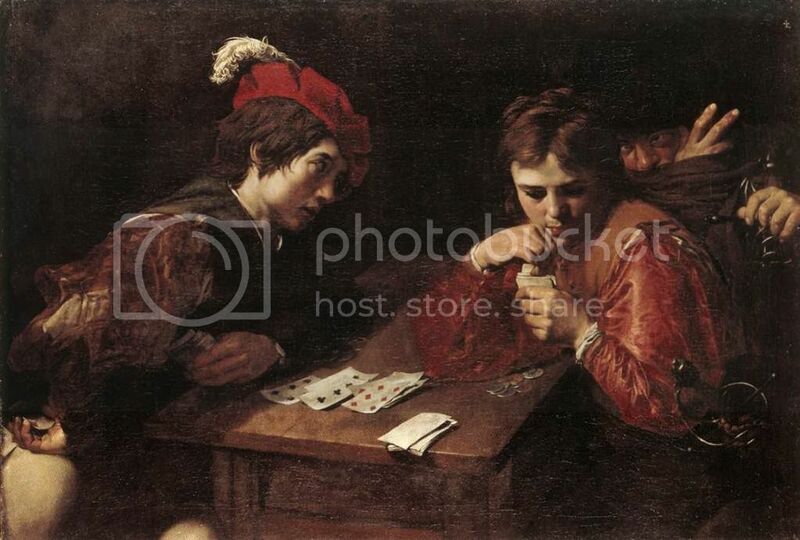 Soldiers Playing Cards and Dice (The Cheats).1618-20. 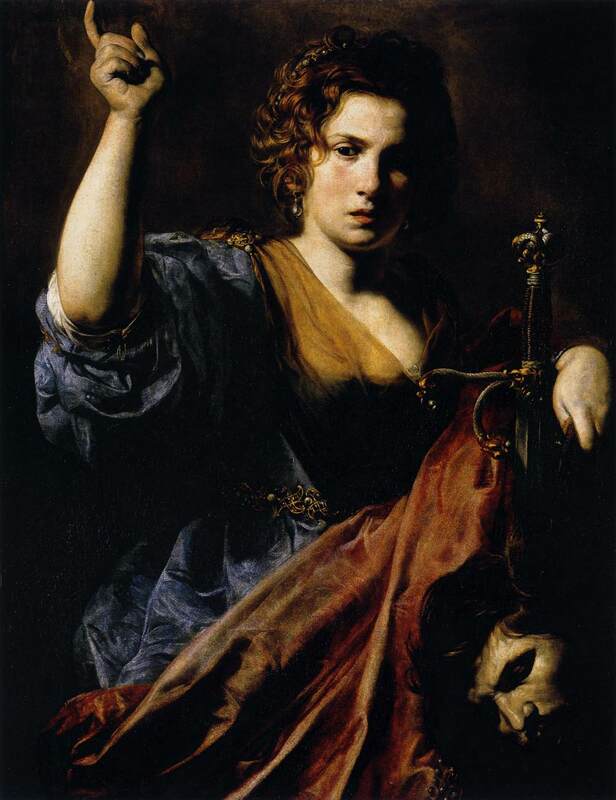 David with the Head of Goliath and Two Soldiers.1620-22. 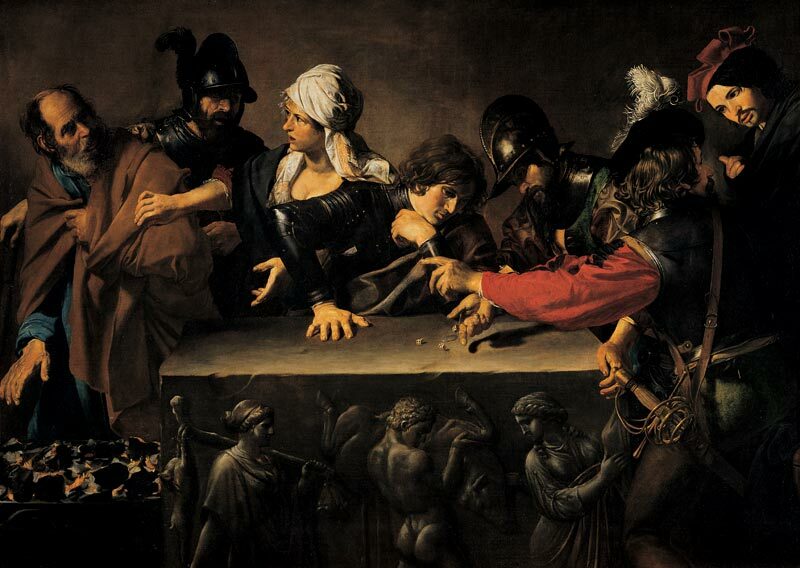 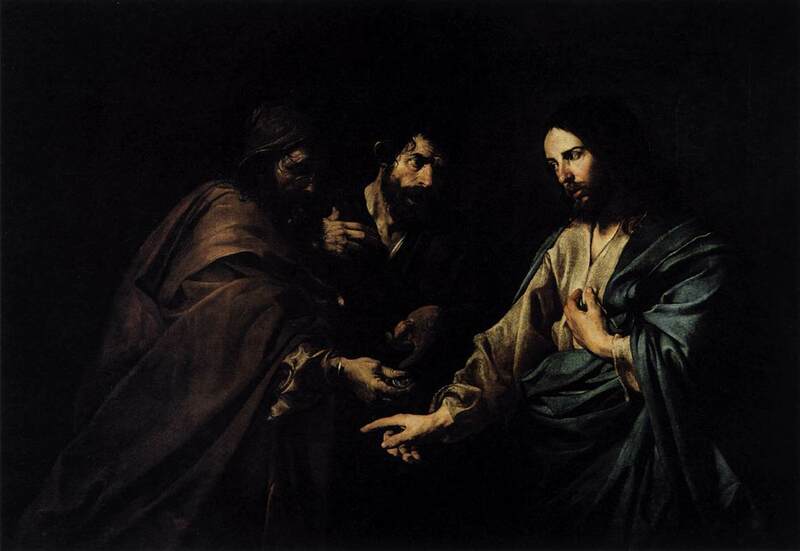 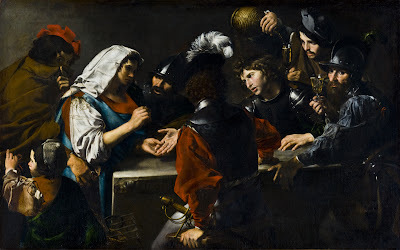 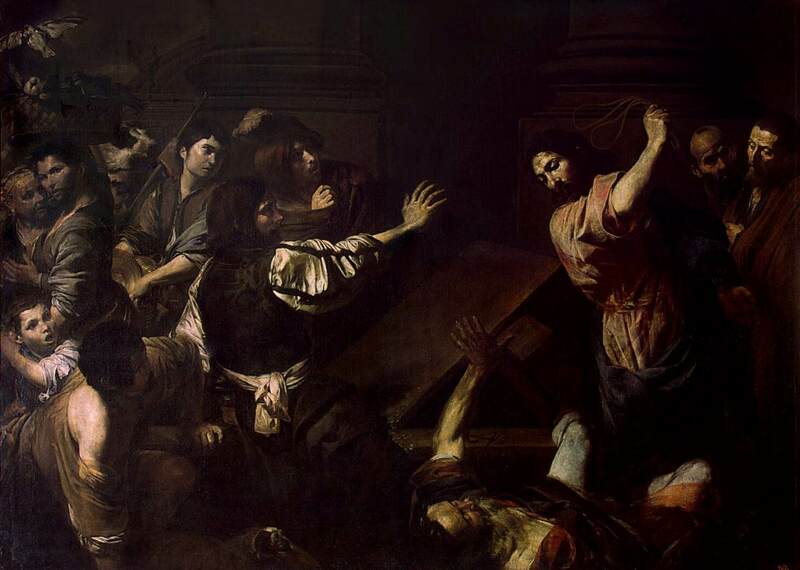 Expulsion of the Money-Changers from the Temple.1620-25. 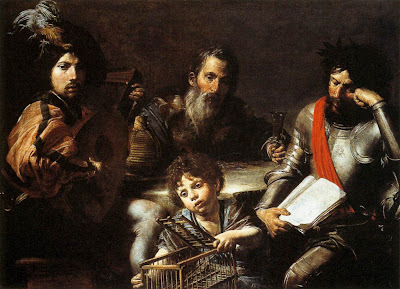 The Four Ages of Man.1626-28. 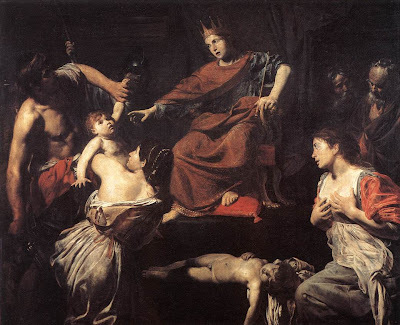 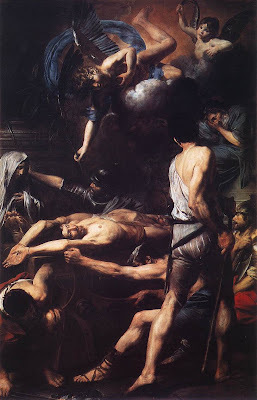 Martyrdom of St Processus and St Martinian.1629. 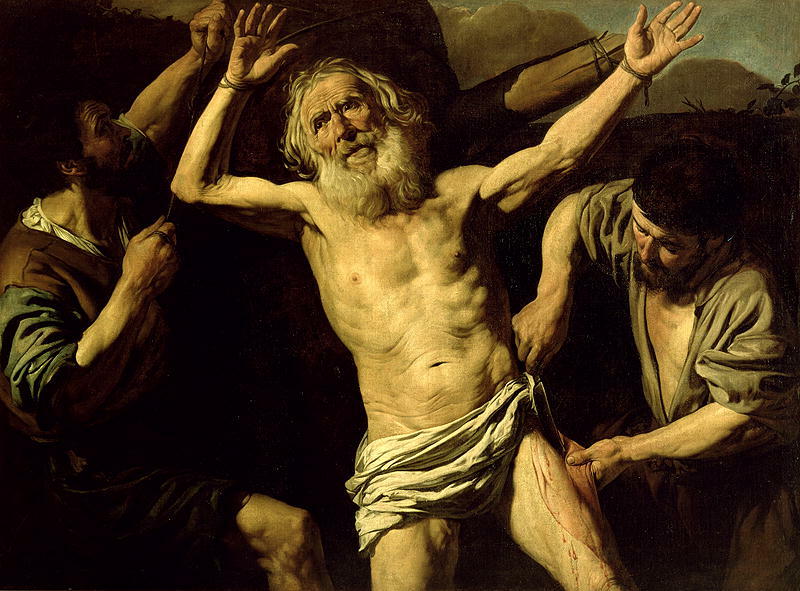 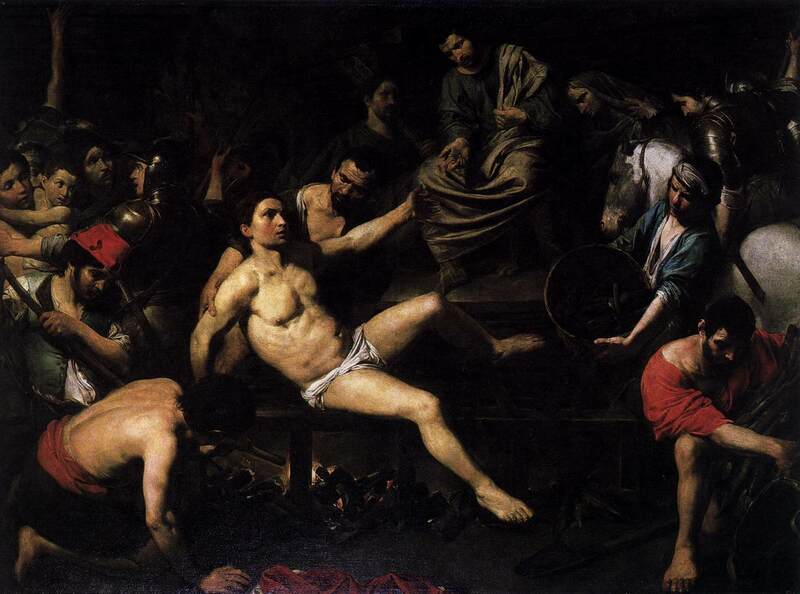 The Martyrdom of St. Bartholomew.1634.